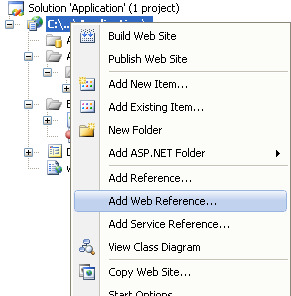 ASP.Net Web Services press on OK as shown below in fig. Step 2: The code (Service.cs) written for Calculating Age , Calculate Factorial and Square Root of a Number. 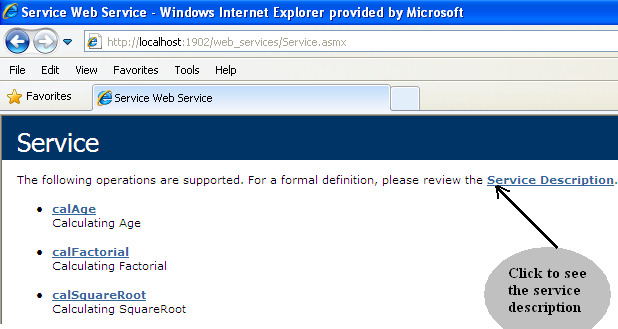 Copy the URL of your running web service and paste it in the new window place as shown in below fig. 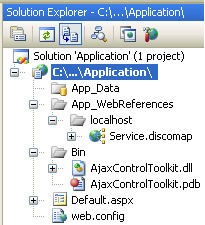 Note: Remember the web reference name, it will be added in your project (.cs ) file e.g. this reference help to call the method of your web services. You will call the methods to create an object of SERVICE. Click on Add Reference, The service will be added in your web site. It will be show on your page like below fig.